Now that the Fox-Disney merger went through, Disney has the ability to add the X-Men into the MCU. Almost 20 years and 12 films later, Dark Phoenix looks to bring the era of Fox's film franchise to a close. The only problem is that it's retelling a story that we've already heard before, and much like the recent reboot of Hellboy, it doesn't seem to be doing much to improve it in any way. Watch the new Dark Phoenix trailer below. This time, it looks like Mystique and maybe Magneto are both done for based on this trailer, where Sophie Turner's Jean Grey goes very bad. And slowly but surely, Jean Grey begins to enjoy feeling the enhanced power that is flowing through her, to the point that she starts turning on her makeshift mutant family. Is Nightcrawler just a creep in this movie? Also stars Evan Peters, Jennifer Lawrence, Jessica Chastain, Michael Fassbender, Nicholas Hoult, and more. For those who prefer their trailers with a dose of minimalism, rest assured that X-Men: Dark Phoenix's final trailer might not be for you. 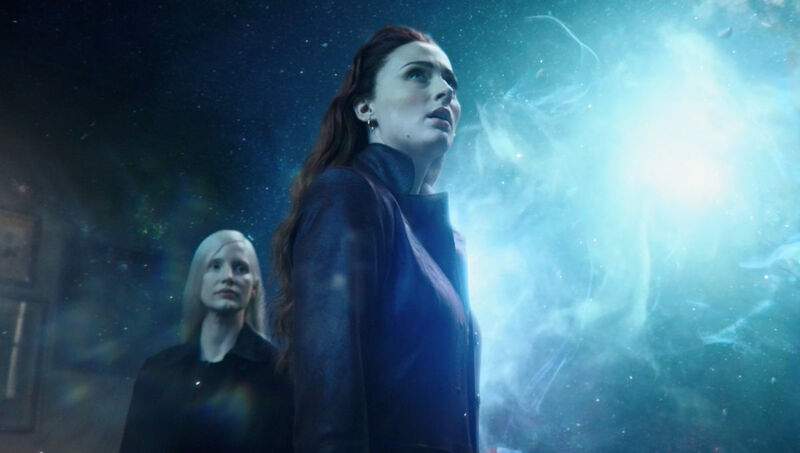 As the two-minute sneak peek shows, Sophie Turner's character is hit by a cosmic force during a space mission, giving her new powers. Once the team returns back home, a smitten Cyclops jokes that all the kids have taken to calling her "Phoenix". Wrestling with this increasingly unstable power as well as her own personal demons, Jean spirals out of control, tearing the X-Men family apart and threatening to destroy the very fabric of our planet. With all of the high-profile comic book movies soaring into theaters in 2019, one could be forgiven for forgetting that Dark Phoenix (what will probably be Fox's final X-Men film) is still on the way.